CNC Bending Services solutions offered comprise use of latest technology based machines so as to perfectly match up to the emerging demands of the customers. 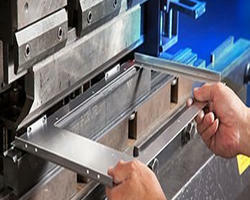 These bending machines allow us to deliver precision bending work as per the demands of present day scenario. Further, we also ensure the solutions offered perfectly match with needs of our industrial clients. As these machines are excellent in bending applications, we are able to maintain the dimensional specifications offered by clients. Owing to our expertise in this field, we are offering a wide assortment of Sheet Metal Fabrication Service to our clients. These services are rendered using high-quality input factors and advanced technology to achieve the set industry norms. Hence, these services are required in various fields. 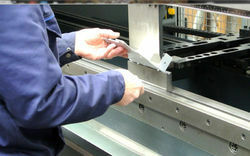 Looking for Fabrication and Bending Services ?